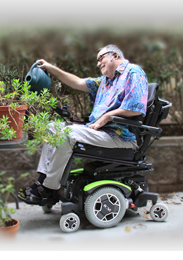 The X3 Power Base from ROVI Mobility is the perfect complement to Motion Concepts’ full line of innovative power positioning products and Invacare® Matrx® Seating Solutions! 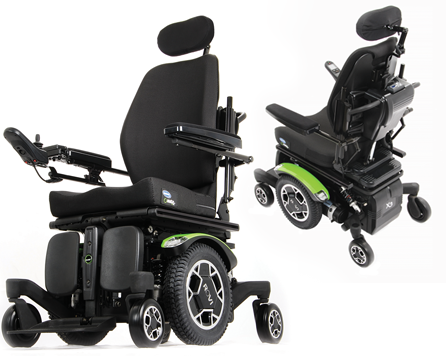 Available exclusively through Motion Concepts, the innovative and exciting X3 boasts the narrowest wheelbase in the industry and all the function and durability you have come to expect from Motion Concepts. Drive Wheel Size: 14" and Caster Wheel Size: 6"
Standard Seat Widths: 16" - 22"; Pediatric 11" - 15"
Standard Seat Depths (Slotted adjustment in 3" ranges):16" - 23"; Pediatric 11" -15"